If your old dentures have worn out, or you need to replace an entire jawbone of missing teeth, complete dentures are the easiest and most cost-effective way to restore your smile. 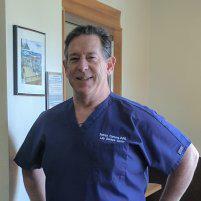 Patrick Carbone, expert denturist and founder of Lilly Denture Center in Olympia, Washington, custom-designs and creates your dentures in Lilly’s in-house lab. When you’re looking for complete dentures in the Olympia area, call the friendly team at Lilly or use the online booking form. Complete dentures are removable false teeth that replace an entire jawbone of missing teeth. If you’ve lost all of your teeth due to an accident or decay, complete dentures are the easiest way to replace them and maintain your oral health. Dentures are not your natural teeth, so expect an adjustment period. It may take up to eight weeks before you feel comfortable with your new teeth. Common sensations during this process include excess saliva and a feeling of a crowded mouth. Patrick creates your dentures out of the highest quality materials available and takes time and care when constructing them. He aims to create dentures that resemble and function as close as possible to your natural teeth. What are some benefits of dentures? Are dentures difficult to take care of? Brush your gums with a very soft toothbrush. Every night, you need to clean your dentures with liquid hand soap and a soft brush. Don’t use toothpaste or other products meant for natural teeth, as these can erode your dentures. Once your dentures are clean, disinfect them for a few hours. The easiest way is to bathe them in a glass of water mixed with a denture cleanser overnight. Patrick has been custom-creating dentures for 30 years and only uses the highest grade materials, so your Lilly dentures may last longer than ordinary dentures. With proper care, most dentures last about 8 to 12 years. For some men and women, Patrick’s dentures have lasted more than 15 years. Patrick recommends you have your dentures relined every 3 to 5 years. He can complete this process in the office as a same-day service. Ready to smile with confidence again? Call Patrick’s wife Carol at the Lilly Denture Center to arrange a free complete dentures consultation, or use the online form.